I have such a love-hate relationship with Warrior III! It’s so effective at improving balance and strengthening the body. But it’s so HARD! From Tadasana, bring your hands together at your heart in prayer. Find your center. Engage your core. Hinge at the hips and begin to lift the right foot up off the floor. Flex the right foot as you lean forward, extending the leg straight back. Imagine trying to press that foot into a wall (or maybe actually use a wall if you want!) Keep a microbend in the knees to prevent hyperextension. 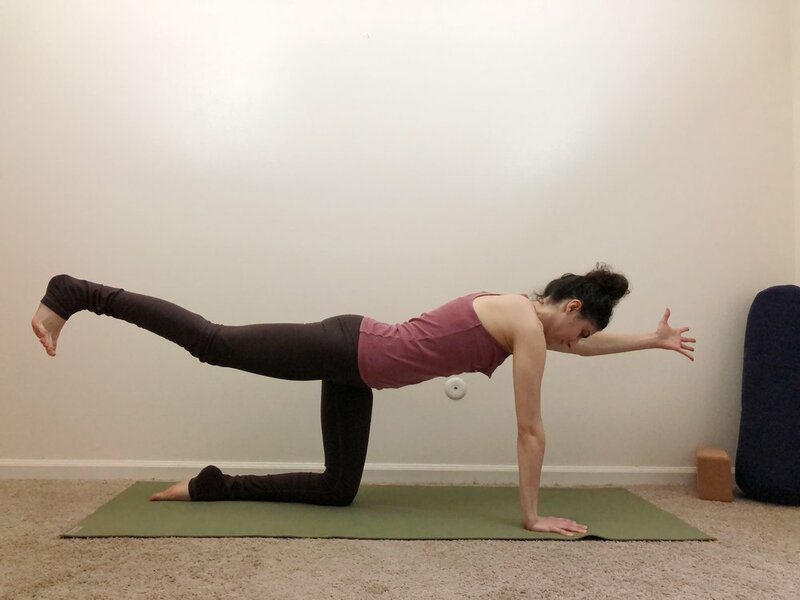 Keep the hips squared (both hip points pointing down toward the mat like two headlights). You may need to pull the right hip in more than you think you do. Pull the navel in. Keep the shoulders relaxed. Experience a line of energy from the heel of the right foot to the crown of the head. If desired, you can extend the arms straight in front of you. This will make the pose more challenging. Keep the neck long and gaze at one point on the floor in front of you. Hold for 5-10 deep breaths. Start by coming into table top pose. Firm the abs in. Keeping the hips squared (both hip points pointing down toward the mat) extend the right leg straight back. Start by coming onto the ball of the foot, then experiment with lifting the leg up so that it’s parallel with the floor. Stay here, or further challenge yourself by lifting the opposite arm up. 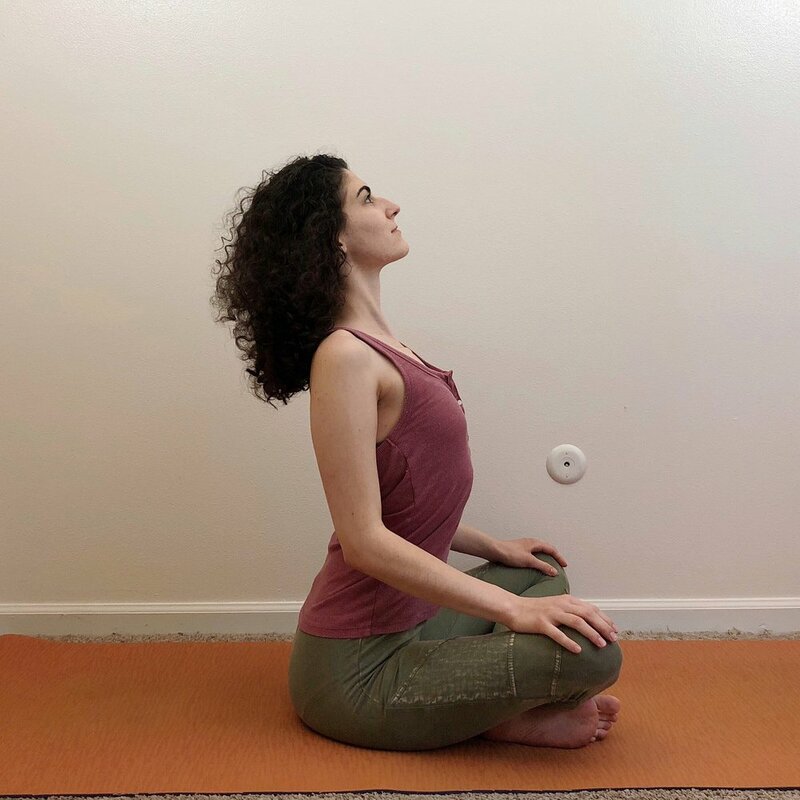 Hold for 5-10 deep breaths, then practice on the opposite side. Supta Padangusthasana will give you a similar stretch as Warrior III, but without needing to balance. Anytime I’m feeling low, disempowered, ungrounded, I find my power again in this pose. Standing with the feet firmly planted, muscles engaged, taking up space. 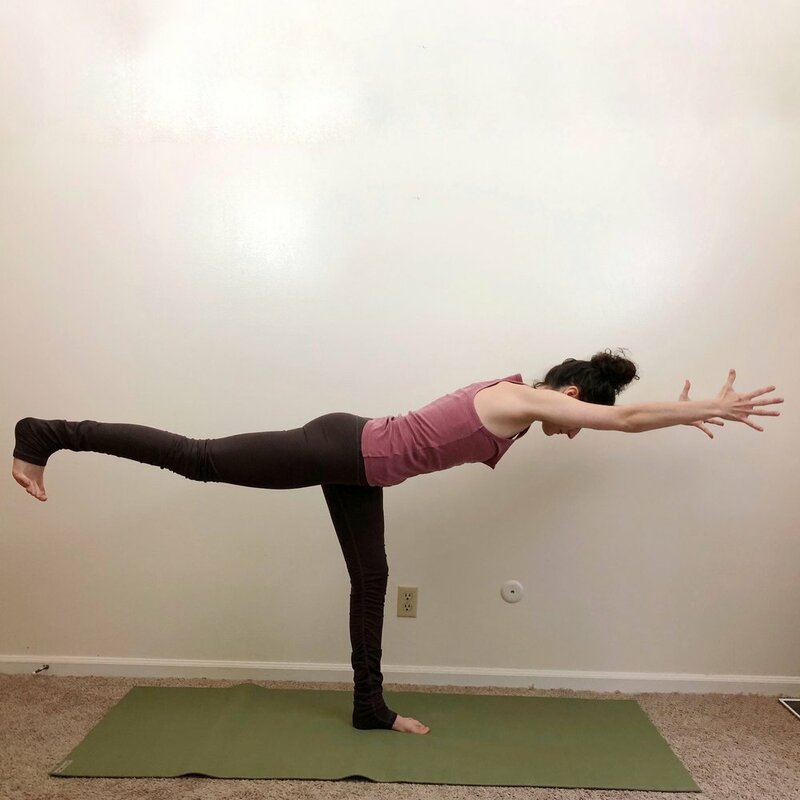 The way we position our bodies affects us energetically, and I love that yoga gives us the tools we need to take conscious control of our own embodiment. 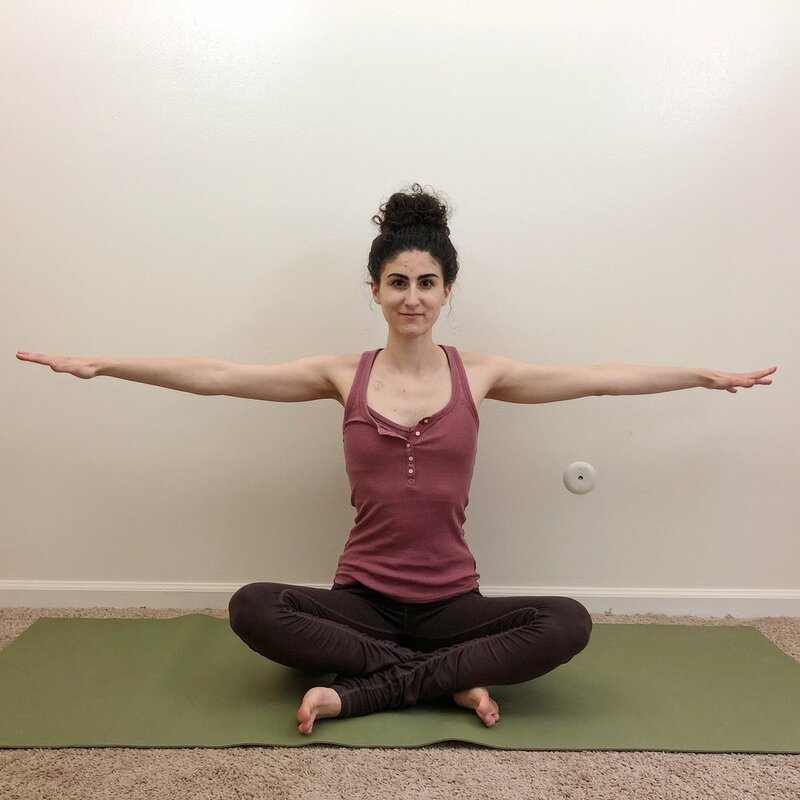 Start in Tadasana. From here, step the feet wide, about three feet apart. Press down evenly into all four corners of the feet and lift up through the arches. Engage the quads and inner thighs, keeping a microbend in the knees. Lengthen the tailbone and scoop the low abs in and up. Pull the front ribs in. You can keep the hands at your hips or together in prayer at the heart. For more challenge, you can extend them into a T position either with the palms face down or palms facing forward. Hold for 5-10 deep breaths. YOU CAN ALSO FIND THIS POSE IN THIS YOGA CLASS. 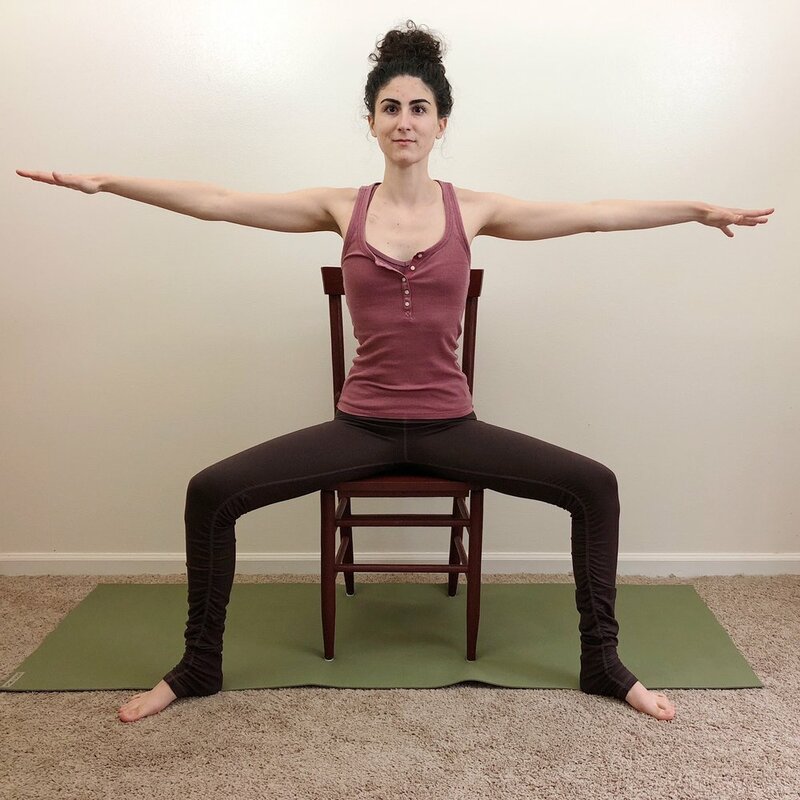 For the chair variation of this pose, sit at the edge of the seat with your feet flat on the floor. Take the knees wide and press firmly into the feet. The ankles should be directly below the knees. Pull the navel in toward your spine. Sit up tall. Keep the hands on your hips, together at prayer or extend the arms into T position. Hold for 5-10 deep breaths. Come into sukhasana and take the arms wide to focus on upper body strengthening. 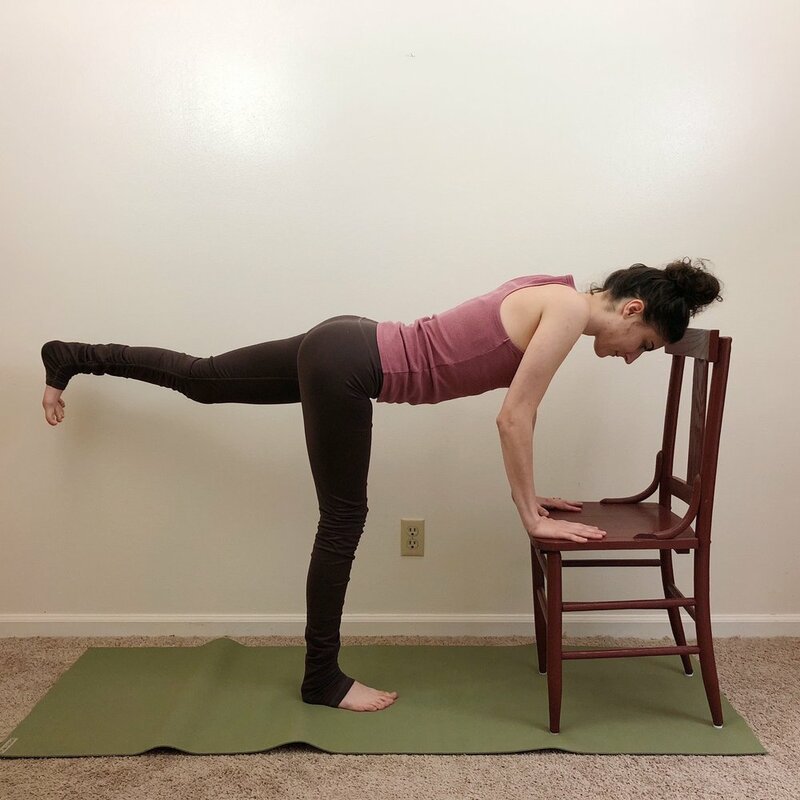 This is great if you have balance issues or joint pain in the lower body. Hold for 5-10 deep breaths. Lie flat on your back with the shoulders in line with your hips. Extend the legs and take the feet wide. Flex the feet and activate the legs. Take the arms into T position with the palms facing up. Spread the finger tips. Hold for 10 deep breaths. Then relax the muscles. You can rest here as an alternative to savasana if you’d like. It can feel very empowering to let your body soread out and take up space.